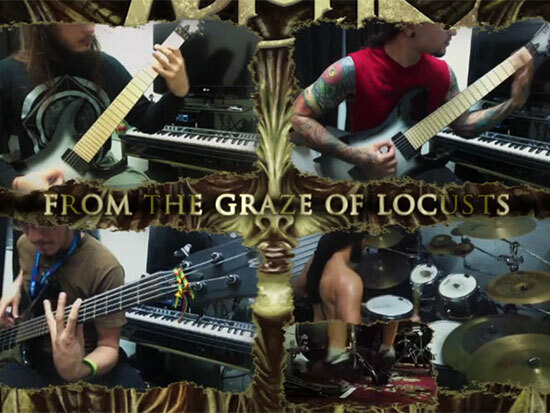 Launch performance demonstration/lyric video for “The Graze of Locusts” on GuitarWorld.com! Watch and enter to win a brand new ESP guitar! ABIOTIC have once again partnered with director Dan Drescher, who filmed their previous video Vermosapien, to shoot a brand new video for Facades. The video’s release date is TBA, but ABIOTIC has posted several still images on their facebook page HERE. ABIOTIC has partnered with GuitarWorld.com to launch a brand new performance/lyric video for The Graze of Locusts. Fans can view the video HERE, as well as enter to win an ESP/LTD EC-10 Two Tone burst with gig bag now at GuitarWorld.com.